Meadow oat-grass is a densely tufted perennial with an attractive inflorescence growing to about 85cm. 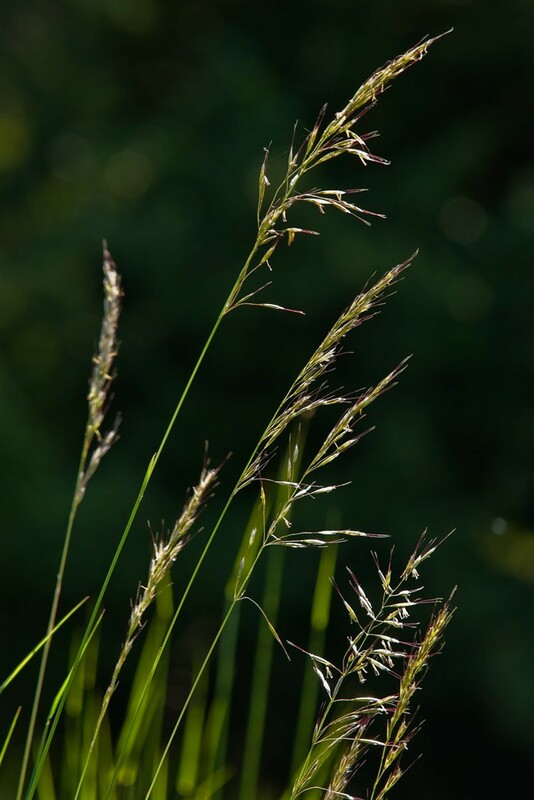 Both this species and its cousin, downy oat-grass (Avenula pubescens), can be confused with false oat-grass (Arrhenatherum elatius) but the latter is usually much taller (150cm as opposed to 90cm), its ligules are a blunt membrane not triangular and the spikelets always contain two florets whilst Avenulas have three to five (sometimes up to eight). The difference between the two Avenulas is a bit more subtitle but they can normally be told apart by feeling the sheathed stem. 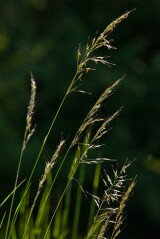 In meadow oat-grass it is smooth and hairless (glabrous) but, as the name suggests, downy in downy oat-grass. Of-course life is never that simple and there is a hairless form of downy oat-grass but it also has softer leaves and a fuller look to the panicle. N.B. Until recently this species was know by the old botanical name of Helictotrichon pratense. 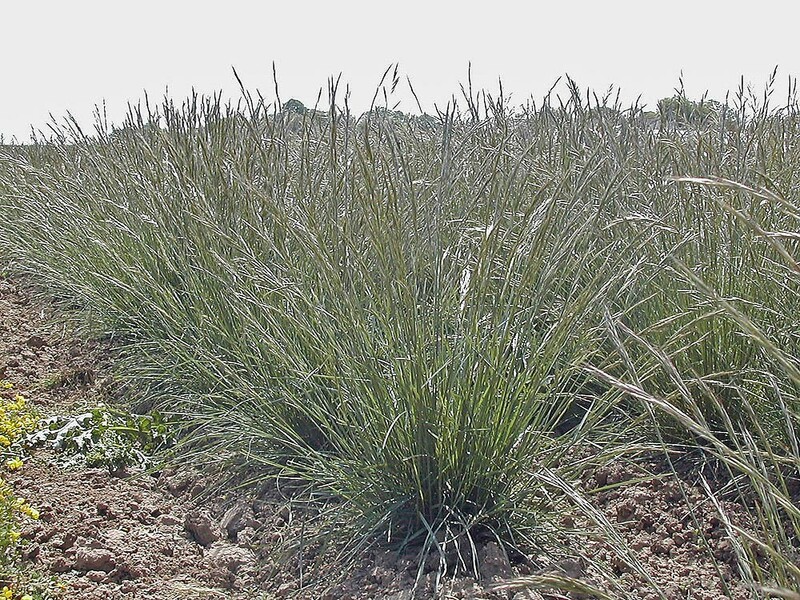 Meadow Oat-grass is a native, tufted perennial of infertile, calcareous soils. It is characteristic of well-grazed chalk and limestone downland, but can also found on cliffs and screes and, occasionally, in open Ash woodlands. It is a slow growing but potentially robust grass that can dominate on sites that are infrequently grazed or cut. It can also peak after grassland fires as it is more tolerate of burning than most native grasses.